Think search engine optimization is a thing of the past? Myth #1: SEO is dead. The first myth to put to bed is the idea that search engine optimization has been killed off by Google and its algorithms. Not true. While Google has started penalizing various disreputable SEO practices—“black hat” tactics, cheap content, keyword stuffing, and the like—smart, content-centered SEO is still very much a thing, and very much a winning strategy. If you want to write engaging content that also ranks well in search engine rankings, SEO is a non-negotiable. Myth #2: SEO is a quick fix. If your SEO guy promises you overnight results, odds are he’s either conning you or using some duplicitous practices that Google will punish, in time. Search engine optimization, like content marketing, is a process. It takes time and commitment. 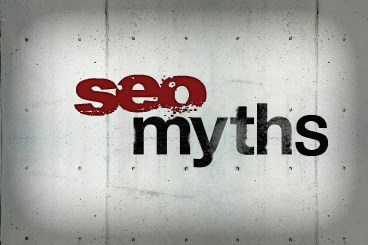 Myth #3: SEO doesn’t matter. If you want to see your content performing well in Google searches, then you need to do what you can to optimize it for search engine use. Remember, good SEO is about working with Google to make sure your content gets seen by the people who could benefit from it. Of course it matters. Myth #4: SEO and content marketing are opposed to one another. Nope! So long as your focus is on creating compelling, customer-centered content, there is no reason why you cannot also strive for search engine relevance. The two are not mutually exclusive. Myth #5: SEO is magic! There are many who regard SEO as some kind of voodoo, something inscrutable and elusive. It’s part art and part science, perhaps, but the basics are pretty concrete: Focus on providing valuable information—thus, a good product for Google to deliver to its customers—and you’re on the right track. SEO and content marketing are a dynamic match—and potentially game-changing for your business. Learn more by contacting Grammar Chic, Inc. today: Call 803-831-7444, or visit www.grammarchic.net.